Transport yourself to paradise and beyond. 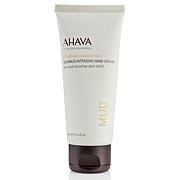 AHAVA's cream wash and velvety lotion are based on the rich resources of the Dead Sea region. They envelop your senses in blissful fragrances as they gently nourish your skin with moisture. Your aromatic pampering awaits. Powering the entire product range is our exclusive Osmoter™ - a blend of natural minerals sourced from the wondrous Dead Sea water contained in AHAVA products that will moisturize your skin for a smoother, youthful-looking appearance. Aqua (Water), Castanea Sativa (Chestnut) Seed Extract, Lactic Acid, Alpha Isomethyl Ionone, Butylphenyl Methylpropional, Citronellol, Hexyl Cinnamal,Limonene, Linalool. I LOVE THE AHAVA PRODUCTS! This lotion has the best floral scent and is so soft! 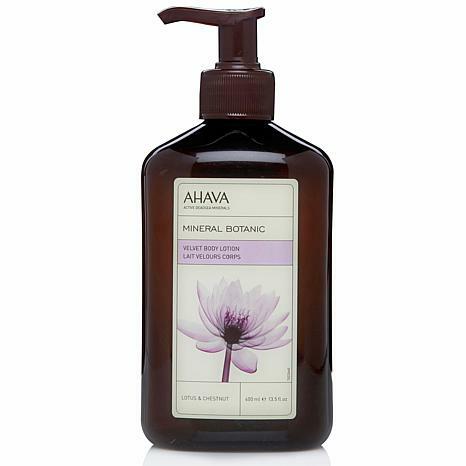 Love Ahava and the mineral botanical line is amazing. These lotions and cream body washes are the best ever. Stay out late. Get in a little trouble. Go ahead, have that second glass of champagne. Wild, feminine and free ... Viva La Juicy embodies your inner glamorous bad girl side. Embrace all of life's juiciest moments. What You Get 8.6 fl. oz. Romantic, sensual and emotional. This body lotion is infused with the elegance of rose, the sparkle of apricot blossom and the sensuality of sandalwood. Trésor is a delicious golden coral fragrance, so every drop opens like petals on your skin.